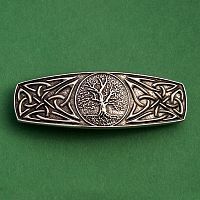 - The outstretched branches and twining roots of the world tree form a living bridge between the earthly world and the heavens. 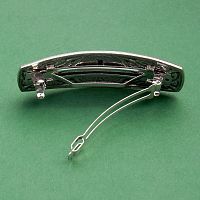 Barrette measures 3 1/4" across, and is made of lead-free pewter. 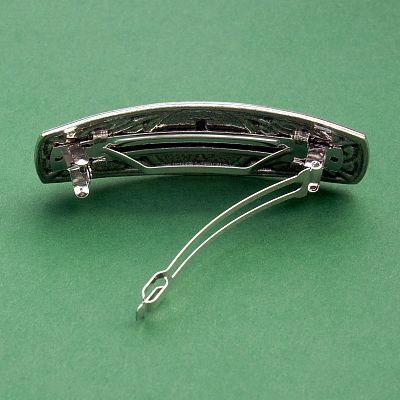 The high quality French clip will never pull or tangle your hair. 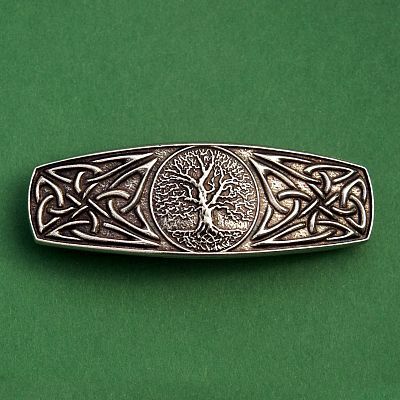 Do you have any other questions about our World Tree Barrette?